We love being able to store our food and our personal care products on the shelves for months at a time. To do that, though, we have to use preservatives—those agents that help keep the formula free of bugs and bacteria. In cosmetics, preservatives also help protect formulas from degradation when they're exposed to oxygen in the air. You probably already know, however, that some preservatives are safer than others. I prefer to use natural ones in my products, but there are a lot of other manufacturers out there that use chemical ones instead. One that you're likely to see quite a bit in your food—particularly processed foods, snacks, cereals, and pet foods—and in your makeup and lip products, is butylated hydroxyanisole, or BHA. Based on evidence from animal studies, the U.S. National Institutes of Health report that BHA is reasonably anticipated to be a human carcinogen, particularly in high doses. Why then, are we still finding this chemical in so many products? BHA is a petroleum-derived, synthetic antioxidant. It's made by combining 4-methoxyphenol and isobutylene, and exists at room temperature as a white or slightly yellow, waxy solid with a faint, characteristic odor. You may think: Antioxidant. Isn't that supposed to be good for you? Here, we need to remember that the word “antioxidant” simply means that the ingredient prevents or slows deterioration due to chemical reaction with oxygen. The chemical scavenges free radials, preventing reactions that would degrade the product. So again, as the products are exposed to the air, BHA helps to preserve the integrity, color, and appearance of the formula. That doesn't mean that it's healthy for you, however. Since 1947, BHA has been added to edible fats and fat-containing foods as it helps prevent them from becoming rancid. Today you'll find it in chips, baked goods, butter, meats, sausage, poultry, chewing gum, vegetable oils, and beer. Many eyeliners, eye shadows, lipsticks, lip glosses, blushes, foundations, perfumes, moisturizers, skin cleansers, and even diaper creams may also have it. The Food and Drug Administration (FDA) includes BHA on a list of substances considered Generally Recognized as Safe (GRAS) as a preservative for food. Manufacturers can use it at concentrations not to exceed 0.02 percent of the total fat or oil content of any particular food. The Cosmetic Ingredient Review (CIR) expert panel has also concluded that BHA is safe as a cosmetic ingredient. In 2003, they reviewed new data and reaffirmed this position. Several studies, however, have indicated that BHA is a carcinogen. The question, as always, concerns exposure. The FDA and the CIR believe that the low levels in today's products are safe, and show no significant association with increased risk of cancer. But we have no studies examining the cumulative exposure the modern-day person may be getting, after consuming several foods with the ingredient, and applying several cosmetics with it day after day for years. Our ingestion of this chemical has increased over the last few decades. According to the National Toxicology Program, the estimated annual U.S. use of BHA in food increased from 170,000 kg in 1960 to 300,000 kg between 1970 and 1982, and those numbers are likely even higher today. 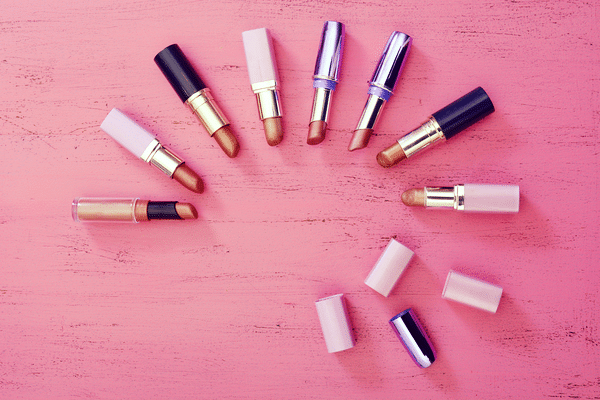 A 1981 survey by the FDA reported that BHA was used in up to 21,279 cosmetic formulations, with the highest concentrations appearing in lipsticks and eye shadows. Meanwhile, several studies have indicated potential health dangers. Long-term exposure to high doses was found to be toxic in mice and rats, causing stomach tumors and inhibiting blood clotting. The National Institute for Occupational Safety and Health's Registry of Toxic Effects of Chemical Substances lists BHA as a suspected gastrointestinal or liver toxicant. Interesting, when we're ingesting this stuff, right? Contact with the skin can also cause allergic contact dermatitis, and there is some evidence that the ingredient may also be a hormone disruptor. The Japanese National Institute of Health Sciences' World Wildlife Fund lists it as a suspected hormone toxicant. As with most potentially harmful chemicals, a tiny bit of this probably isn't going to hurt you. But women, in particular, may be applying this to their lips multiple times a day, and then swallowing it, as we all know that our lipstick ends up in our mouths. Add that to exposures in our diet and you could be getting up to levels that are not healthy. Fortunately, this is an easy one to avoid. All you have to do is look for “BHA” (and its close cousin, BHT) on the ingredient list, and avoid those products. Vitamin E and other natural preservatives are much better options, in my opinion. Have you cut back on your BHA exposure? Please share your story. “Butylated Hydroxyanisole,” National Toxicology Program, Report on Carcinogens, Twelfth Edition (2011), http://ntp.niehs.nih.gov/ntp/roc/twelfth/profiles/ButylatedHydroxyanisole.pdf. UNEP and OECD, 2,6-di-tert-butyl-p-cresol (BHT) Screening Information Data Set: Initial Assessment Report (Paris: OECD, 2002), http://www.inchem.org/documents/sids/sids/128370.pdf. Kahl R, et al., “[Toxicology of the synthetic antioxidants BHA and BHT in comparison with the natural antioxidant vitamin E]. Z Lebensm Unters Forsch. 1993 Apr;196(4):329-38, http://www.ncbi.nlm.nih.gov/pubmed/8493816. Ito N, et al., Carcinogenicity and modification of the carcinogenic response by BHA, BHT, and other antioxidants. Crit Rev Toxicol. 1985;15(2):109-50. http://www.ncbi.nlm.nih.gov/pubmed/3899519. Clayton, G. D. and F. E. Clayton (eds.). Patty's Industrial Hygiene and Toxicology: Volume 2A, 2B, 2C: Toxicology. 3rd ed. New York: John Wiley Sons, 1981-1982., p. 2537. We see BHT in many lipsticks like in Lancome .I don’t know why ?